Take a 3D Tour, CLICK on the 3D BUTTON & Walk Around. Watch a Custom Drone Video Tour, Click on Video Button! 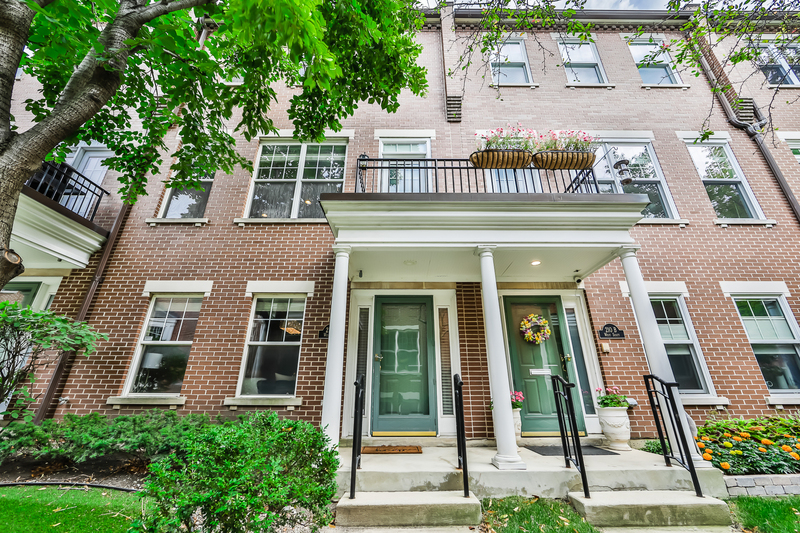 Live in the Heart of OldTown in this move in ready Townhouse just off Wells Street! Modern kitchen w/white cabinets, breakfast bar, SS appliances, & Quartz countertops! Enjoy grilling on your PRIVATE rooftop deck! Beautiful Open living room w/built in shelving & custom fireplace is perfect for entertaining. Master bedroom features vaulted ceilings, new carpet, & updated ensuite bath w/ double vanity, sep shower, & whirlpool. Spacious 2nd & 3rd bedroom. Extensive updates include new carpet, refinished hardwood floors, freshly painted, & bathrooms remodeled. 2 Car attached garage w/ room for storage. Located in quiet gated community. Walk to Clark & Division CTA & Lasalle buses. Step out your door to Seward Park, Oak St Beach, Lakeshore Trail, Plum Market, Starbucks, Multiple gyms, Lasalle & Wells&apos; Restaurants & nightlife, & Everything Old Town has to offer! Lot Dimensions: 1195 SQ. FT.